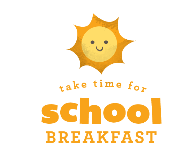 Did you know that if your child receives Free or Reduced Lunch they are also eligible to receive Free or Reduced BREAKFAST? Looking for a job that fits with your children's school schedule? Looking for a job with no nights or weekends? Pennridge Nutritional Services Department is now hiring part time cafeteria workers and substitute cafeteria workers. Call 215-453-2766 for more information! Please Note that all positions within the District require that individuals possess current (within one (1) year) Pennsylvania Child Abuse clearance (Act 151), PA Criminal clearance (Act 34), and Federal Criminal clearance (FBI Fingerprinting, Act 114). You can also find more information and applications regarding these clearances at the PA Department of Education online.